If you love Chicken and Rice dishes, this is a good one! 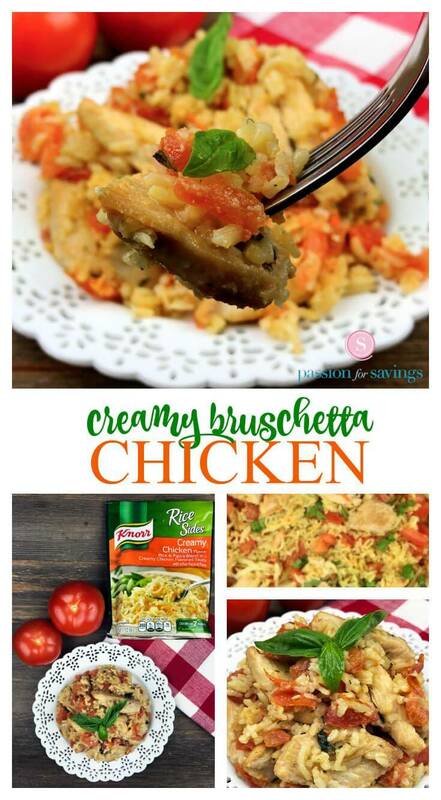 This Creamy Bruschetta Chicken and Rice Recipe allows you to cut down on your prep time by purchasing the Knorr® Creamy Chicken Rice, yet it tastes homemade! 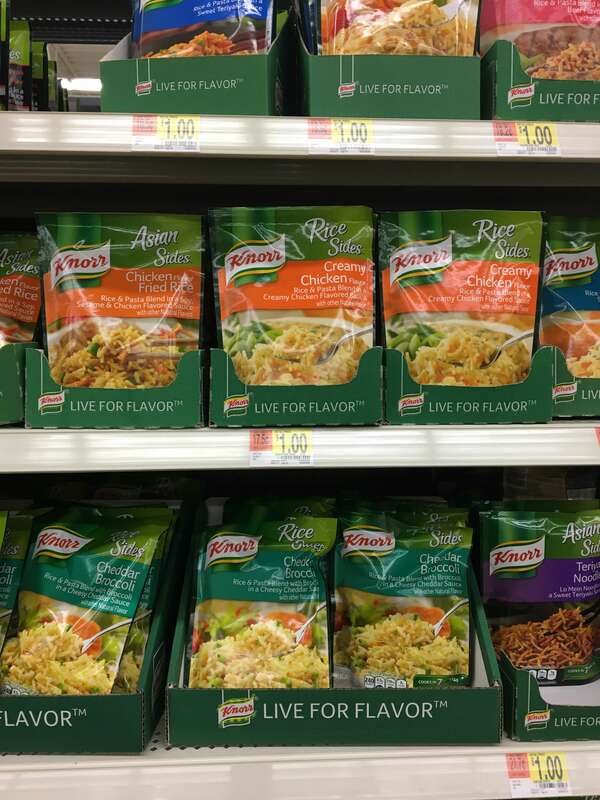 Plus, you can’t beat $1.00 for the Knorr® Rice mixes! First, heat the oil in large nonstick skillet over medium-high heat and cook chicken, stirring frequently, until chicken is thoroughly cooked, about 4 minutes. Add garlic during the last 30 seconds of cook time. Remove and set aside. Next, prepare Knorr® Rice Sides™ Creamy Chicken flavor in the same skillet according to the package directions. Last, stir in the chicken and tomatoes. Sprinkle with mozzarella and basil. Serve! You should see the Creamy Bruschetta Chicken recipe! Prepare Knorr® Rice Sides™ – Creamy Chicken flavor in same skillet according to package directions. Stir in chicken and tomatoes. Sprinkle with mozzarella and basil. Serve! Knorr® makes several varieties of side dishes so take a look when you’re in your local Walmart store next time and see what you can find. Make your meals taste homemade with these convenient side dishes! What’s not to love about that! For more recipe ideas, head on over to Walmart’s Food Hub for dinner ideas! By adding fresh ingredients and produce to your meal, the delicious factor substantially increases for the entire family! Disclosure: This post is sponsored by Mirum. I was compensated for this post however all thoughts and opinions are my own. How To Stock Up on Huggies Diapers From Home!